Hotel Check In features a library, tour or ticket assistance and dry cleaning/laundry services. Wireless Internet access is complimentary. 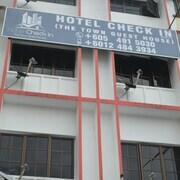 This Brinchang hotel also offers ATM/banking services and a television in common area. Complimentary self-parking is available on-site. Hotel Check In is a smoke-free property. Located in the heart of Brinchang, this golf hotel is within 1 mile (2 km) of Sam Poh Temple, Cameron Highland Golf Club and Mossy Forest. Parit Falls and Cameron Highland Night Market are also within 2 miles (3 km). This smoke-free hotel features dry cleaning, a library and tour/ticket assistance. Free WiFi in public areas and free self parking are also provided. 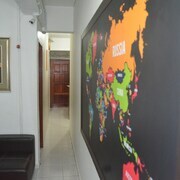 Additionally, a TV in a common area, ATM/banking services and a reception hall are on-site. All 8 rooms offer free WiFi, coffee makers and LED TVs with satellite channels. Other amenities available to guests include ceiling fans, showers and free toiletries. Bathrooms are shared. Hotel Check In offers 8 forms of accommodation with coffee/tea makers and complimentary slippers. 32-inch LED televisions come with premium satellite channels. Guests have access to shared bathrooms. Bathrooms include a shower, a bidet and complimentary toiletries. Guests can surf the web using complimentary wireless Internet access. 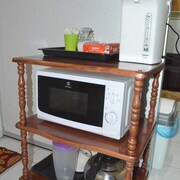 Fridges, an iron/ironing board and hairdryers can be requested.Housekeeping is provided on a daily basis. Rollaway/extra beds are available for MYR 35 per day.